I was impressed with the week's Case Records of the Massachusetts General Hospital in the New England Journal of Medicine for a couple of reasons. First, it seems to be a continuation of a renewed effort to cover psychiatry and the medical interface. This has been done before. I used to track how many references to psychiatry or psychiatric symptoms there were in this feature. Over about 20 years - I think I came up with 5-10 references per year. The discussants were generally not psychiatrists because the symptoms originated from neurological or medical disorders. This case is a patient with obvious psychiatric illness occurring in the common context of an inadequate history and no collateral information. Secondly. it discusses how care should be provided to these patients and in today's reality of severely rationed care, that is extremely important. My goal with this post is to point out some of the lessons that I think are important from this case, based on 22 years of experience providing the same level of care that the authors do here. The case itself is presented in detail and I will not repeat those details here. The patient in this case is a 48-year-old woman who presents to the emergency department with "prickling and tingling" in the palm of her right hand. She presented about 5 hours after she had previously been discharged for evaluation of the same problem. She had been discharged with a list of shelters and hotels but came back saying that she was concerned that the hotel staff would "gas" her or perform "unwanted sleep studies" on her. The main case discussants were psychiatrists who presented all of the review of systems, mental status exam findings, physical findings, and laboratory findings. She had a normal physical exam and the mental status exam was remarkable for mild cognitive impairment on a standard cognitive screen, psychosis in the form of loosely organized paranoid delusions, grandiosity, pressured speech, and labile affect. The patient also had impaired judgment and because of the concern about her ability to care for herself-she was admitted on an involuntary basis. The differential diagnosis of the psychiatric disorder from the perspective of a primary or secondary psychosis is discussed in detail. Nine major categories of disease are covered as well as specific possibilities in each category. The discussions include commentary on why a particular diagnosis is likely or not. Following that discussion the psychiatrist presents the most likely psychiatric and physical diagnosis to account for the presentation. Reading through this exercise, I thought that the discussion was outstanding and potentially much more enlightening that a vague abbreviated continuing education exercise. I recommend that residents read through this exercise and think carefully about the decision points presented by the psychiatrist-discussant. I will add that my inpatient colleagues and I have made the diagnoses given in this proposed two diagnosis list many times. We also began screening for the medical problem in the exact same way suggested in this article starting about 20 years ago. Anyone interested in this process should read this article in detail. I consider it to be a great example of the medical thinking and skills required to be a psychiatrist. A hematologist also discussed the findings including explaining nuances of the laboratory results and confirmed the diagnosis. An added bonus in this case was a discussion of the difficulties in making medical diagnoses in psychiatric patients with severe mental illnesses by Dr. Freudenreich. He identified the difficulty in the interview situation as a lack of reliable information and no collateral information generally available in emergency situations. He used a term "diagnostic overshadowing" or attributing physical symptoms to a psychiatric disease (the old "it's all in your head"). He suggests a three question approach to avoid that kind of problem by taking into account the psychiatric diagnosis, whether a reasonable evaluation of common problems has been done, and whether or not the psychiatric illness contributes to the medical problem. In my experience, I have seen flat out denial that a problem exists - ranging from diabetes mellitus to lung cancer to be a major obstacle to both acute and ongoing care. Another aspect of appropriate care of populations with severe psychiatric disorders is the ability to establish dialogue with that person. Psychiatrists are used to talking with people who are delusional, hallucinating, and who have formal thought disorders. A lot of physicians do not have that experience or interest and that results in truncated interviews and not much exchange of information. Another aspect of the psychiatric interview is that the psychiatrist is always making determinations about whether what is being said by the patient is really accurate or whether it is distorted or symbolic communication. That process helps to determine what the physical concerns are and to what extent they need to be evaluated. Providing care based on the inability to care for oneself rather than dangerousness is a key part of this case. At one point the authors point out that the patient was admitted on an involuntary basis. Subsequent to that admission she was diagnosed and definitively treated for a condition that is at the minimum severely disabling and in the worst case fatal. She had been released from a previous emergency department. I can say without a doubt that she would have been released from any emergency department in the state where I currently work. Minnesota has been living the myth that there is a "shortage" of psychiatric beds for about 30 years now without acknowledging that the state government is directly responsible for the shortage. One of the commonest rationales for discharging people with severe mental illness and vague medical complaints to the street is that they are not "dangerous". Like every other state there is a gravely disabled standard for emergency holds that allows for the involuntary admission based on disability due to mental illness. Like every other state - Minnesota ignores it. In summary this case report is much more than an exercise in the differential diagnosis of psychiatric and medical disorders. This case report represents a standard of care for persons with severe mental illness. Any reader of this post who is familiar with the lack of standards of care for this population in the US healthcare system doesn't have to imagine that this person could have been repeatedly discharged from numerous emergency departments, sent to jail for trespassing, or given a bus ticket to the next town. Imagination is not required because we have all seen it happen. There are numerous rationalizations, but saving money by not caring these folks is the overriding factor. Health care systems, state governments, and county governments have all turned their backs on them. In the midwest, the only time the homeless get a break is when the temperature drops to 20 below and decisions are made to free up more resources so they don't die on the streets. This case illustrates that a warmer environment is no less hostile if you can't get the medical care that you need. Kudos to the psychiatrists and physicians providing this level of care wherever they can and the NEJM for raising awareness on this issue. The larger societal issue is why this level of care is not available everywhere and why persons with mental illness cannot expect the same level of care as medical or surgical patients. Shtasel DL, Freudenreich O, Baggett TP. Case Records of the Massachusetts General Hospital: Case 40-2015. A 40-Year-Old Homeless Woman with Headache, Hypertension, and Psychosis. N Engl J Med. 2015 Dec 24;373(26):2563-70. doi: 10.1056/NEJMcpc1405204. PubMed PMID: 26699172. Irwin KE, Freudenreich O, Peppercorn J, Taghian AG, Freer PE, Gudewicz TM. Case Records of the Massachusetts General Hospital: Case 30-2016. A 63-Year-Old Woman with Bipolar Disorder, Cancer, and Worsening Depression. N Engl J Med. 2016 Sep 29;375(13):1270-81. doi: 10.1056/NEJMcpc1609309. PubMed PMID: 27682037. 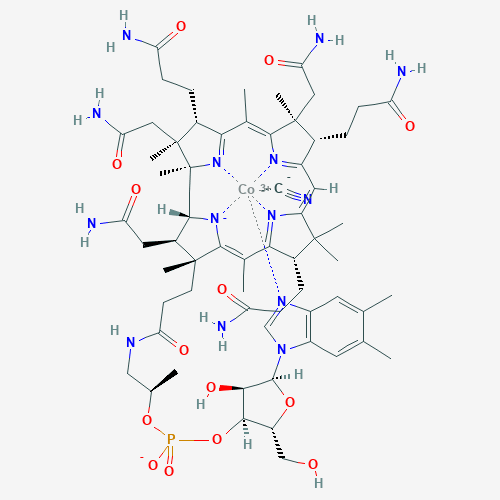 Graphic of the organometallic compound that is the key to this case was downloaded from PubChem.